Do you still need a website nowadays? 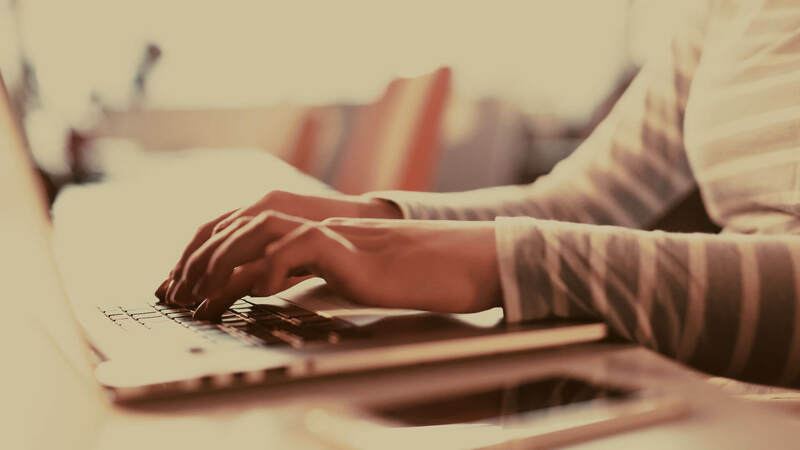 So you’ve decided to go freelance, your brand is well defined, and the last piece of your puzzle is your website. So do you still need a website nowadays and how to create a high quality one? Let’s find out! hello, I’m your host Kaycinho, I’m a digital alchemist, and this episode, is episode number six of a module dedicated to the creation phase of starting your business, so if you haven’t seen the first five episodes, I invite you to check the module playlist by clicking here. And by the way, this module is the second module of a course dedicated to take you from the burning desire to become your own boss to actually launching your business. So if you want access to the full course (videos will be added until the course is complete) by clicking here. Do you still need a website, and how to create a professional one? Obviously if you are a web designer or hybrid web developer, this video may not be for you, but who knows, you might learn a thing or two along the way. Now important notice. I repeat: important notice: if you just want to follow a tutorial and don’t want to hear me talking about the context, then you can stop right here and check out these videos. 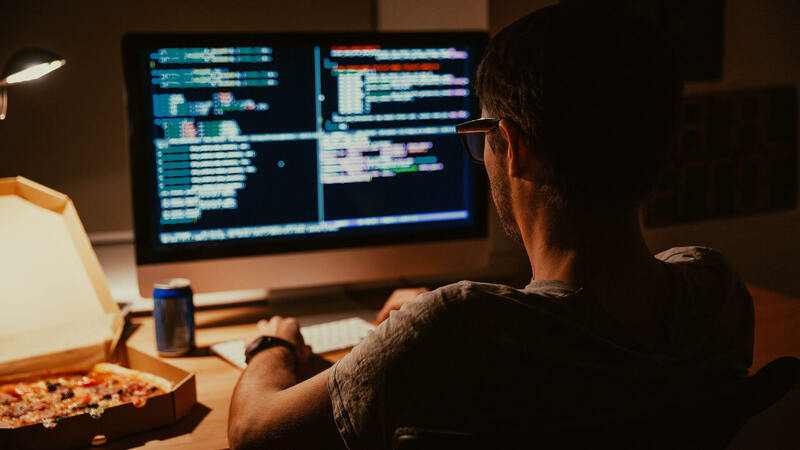 Please be aware that these are not tutorials about how to create a website for free, as you will need to have a domain name, a web hosting, and a premium theme. But it’s all explained in the other video. Now, if you do want to hear the context though, just follow along this episode as you may learn something, which could be interesting if you plan on going freelance as a web designer or web developer, or even if you just wish to know why do you still need a website nowadays. So with that out of the way, let me give you some context and share with you what helped me along my journey. Many people think that nowadays with platforms such as Facebook, Instagram and Twitter a website is not that important anymore and I see many businesses with only a Facebook page. In my opinion , this is a big mistake because your website is your own territory, that goes by your rules, whereas platforms such as Facebook or even Youtube are great but you are at their mercy. 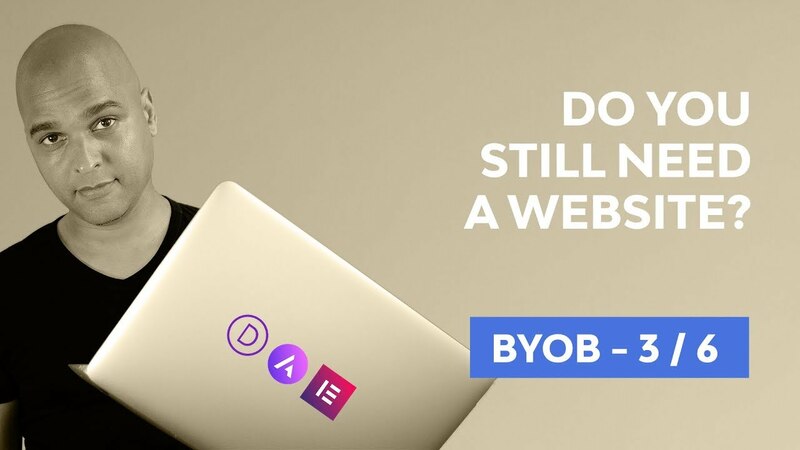 Do you still need a website? The short answer is Yes. For example, when they change the rules, just like when Facebook decided only a few percent of your fans would see what you post unless you pay for advertising, or when and new rules hit the Youtube platform. Also you cannot overlook the fact that some platforms will disappear or lose some of their influence, so when they’re going down, if you don’t have your own territory, you will likely go down with them. And if you think I’m exaggerating think about MySpace or Geocities. All of that to illustrate the fact that even giants can fall and when they do, you don’t want to be under their feet or some other body parts. A smarter strategy is to use the power of those platforms and consistently redirect to your own territory. So to the initial question “Do you still need a website?” I’d like to answer “Yes, more than ever!“. Now what solution do I recommend to create your small business website? You can outsource the creation of your website to a freelance or to an agency. That can be a perfect solution if you have the budget. That being said, always use common sense and look at your candidates portfolios before making a move. A website’s goal should not only be to be functional or to look pretty, but it should be like a commercial machine working for you at all times. So whoever you work with, make sure that they are concerned with your website’s goals and your return on investment. If that sounds chinese to them (and if you’re chinese just replace chinese with german, and if you’re german… You get the idea!). Well if it sounds alien to them, I’d suggest you either look somewhere else or make sure someone in the process (like an online marketer) will deal as an intermediary with them. The second solution is you create your website yourself. So either you know how to do that, either you don’t but I’m about to share tips with you about how to create a professional looking and solid website even if you have no previous experience. Now, why am I qualified to give you such advice? 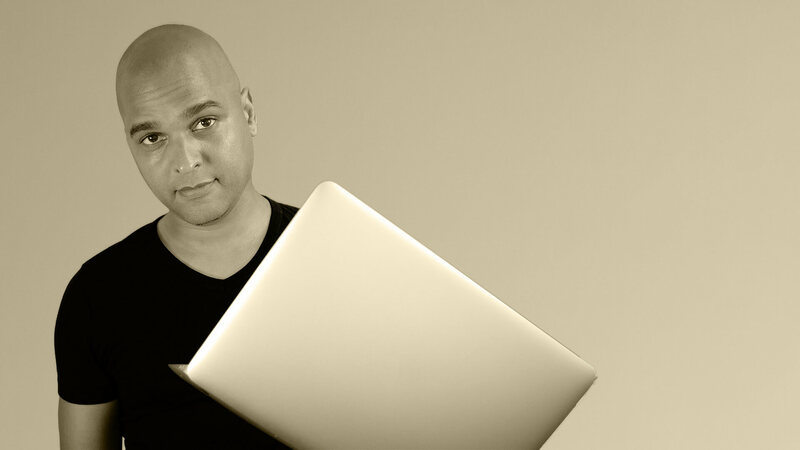 I often refer to myself as a digital alchemist, and the reason is, I started as a “webmaster” as it was called back in the day, then evolved to a hybrid web designer / web developer, learned online marketing, community management, digital photography, audio and lately video production. I am not trying to be a jack of all trades, but I have so much interest for digital disciplines that I love learning new stuff and at least understand how it works so that I can outsource better and practice what I preach. So while learning everything is impossible, I try to focus on areas that sparkle my interest. And once I have a good foundation in those areas, I use it to transform mere ideas into fully functional projects that will use web, audio, photo, and video to craft a strong brand experience, hence the digital alchemist business title. So website creation was my first love in the digital world. My first step as a digital apprentice. And I’ve gone from free web builders to raw html, css, php development with mysql and for the last few years I’ve specialized in WordPress. Why WordPress? Well at the time of recording this video, WordPress has somehow become one of the industry standards when it comes to websites for small businesses and solo entrepreneurs, which is currently my target market. And anyone that has hand-coded medium to large websites before the CMS or Content Management System era will know what a relief it was when the first CMS’s appeared. I’ve tried a few until I laid my hands on WordPress when it was still know more for blogging than for creating websites. It was not the best CMS out there, but it was promising, and it was SIMPLE. It just made the whole website creation process simple, and the amount of plugins available made it even easier. So WordPress had become my tool of choice, and with the gazillion of WordPress premium themes out there, there was clearly a market for freelancing around the WordPress eco-system. And that was just one part of my frustration because what I hated was the fact the every time I purchased a new theme, I had to learn how to use that specific one all over again. Not to mention translate it when I was creating a website for a client that spoke another language than english. And then the light first came when I stumbled upon modern page builders built for WordPress. 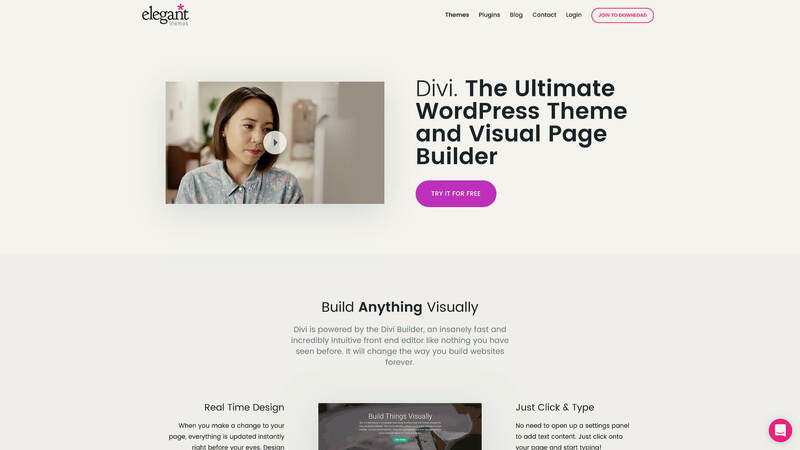 And the first page builder I will talk about today is the WordPress Divi theme. One of Divi’s selling points, apart from all the things I’ve just outlined, is that the Elegant Themes design team releases two full website designs per week. So about five to twenty layouts per week so if you want to craft a beautiful website in no time and even with very limited knowledge, you will love Divi. 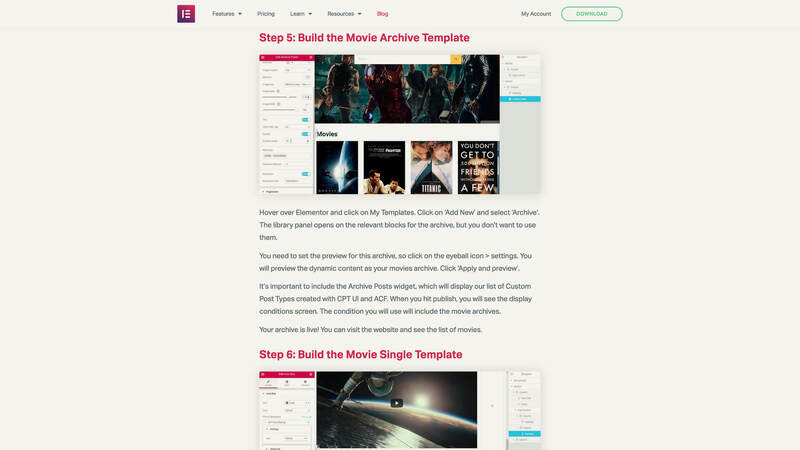 Cherry on the cake: Elegant Themes has a very in depth video documentation as well as a myriad of tutorial as well as a great community, so if you want to discover divi, click here. Now competition is good because it benefits us the customers when companies push the boundaries of what can be achieved on the WordPress platform. And that’s how I discovered a combo that I love : the Elementor Theme builder and the Astra WordPress theme. 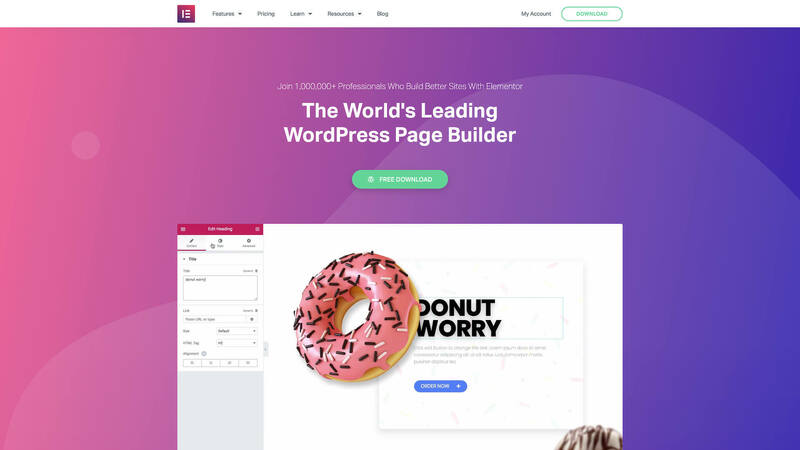 Elementor is one of the fastest growing page builder, it comes in an outstanding free version packed with features, and it also comes with a Pro version if you want more robust features. And one of Elementor Pro’s unique features, at least unique at the time of recording this video, is that it is also a dynamic theme builder. Beaver Builder has actually released their themer addon some time ago, but it is not part of the pro version’s core and must be purchased separately. That means that, with Elementor Pro, not only can you create pages that look exactly the way you want, you can also style the header, the footer, the archive pages, the 404 pages, the blog posts, Woocommerce pages, as well as create dynamic websites that pull data from your own custom sets of data. So for example you can create a move review website with Elementor and pull that data dynamically from the database. I also love the fact that there are many quality third party add-ons available for Elementor, and that allows me to create a better user experience without extending the development time and for a fraction of the cost than what it use to take. Actually I even use Elementor for rapid prototyping as I found out that often times, I prototype faster in the browser, but that’s a matter of personal preference. I’ve actually created a complete video of why you should use Elementor, so if you haven’t seen that episode, watch it here. Elementor is part of my arsenal, and I can’t recommend it enough! Now you may ask, why would you even need a premium WordPress theme if Elementor can achieve all that? Well some things are best left to the management of a theme, and that’s where Astra comes into play. 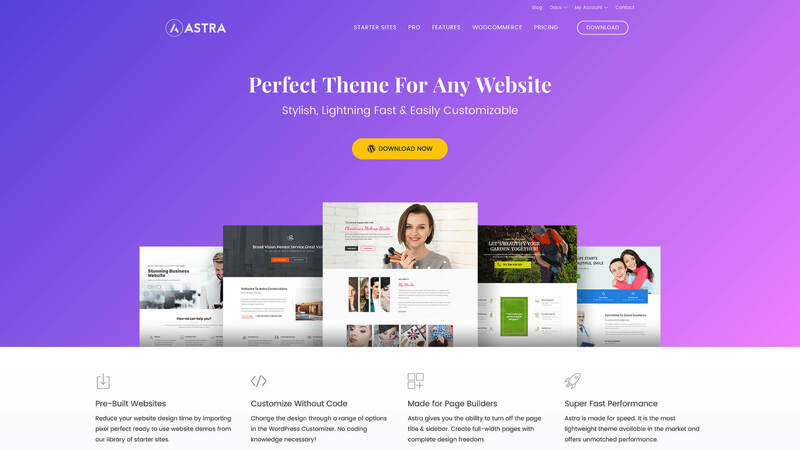 Astra is a beautifiul and lightweight WordPress theme that comes packed with great features such as transparent headers, unlimited different headers, display conditions, as well as custom layouts which I use to add pieces of code, design elements or scripts without the use of plugins. So for example if I want to add a promotional banner on my whole website just before the footer, I can do so with just creating one custom layout in combination with Elementor, and defining only ONCE where it should appear, even if I have one hundred pages on my website. Now I’m only scratching the surface here, and actually I’m planning a full episode dedicated to Astra, but one thing you should now is that Astra works extremely well with Elementor. Also that Astra is one element of a suite that features several premium plugins such as Convert Pro for conversion and lead capture, Ultimate Addons for Elementor, Wp Portfolio to create slick online portfolios, Schema Pro to help with search engine optimization as well as more than 50 starter site designs to help you get up and running on your projects, even if you know little about web design. Astra comes in a free version, but if you want the more advanced features, you will need to get Astra Pro that comes in several bundles. You can get Astra by clicking here. Do you still need a website? Divi or Astra + Elementor? I could tell you to follow your personal preference but that wouldn’t really help would it? Plus, whereas Elementor and Astra have free versions for you to test, that is not the case with Divi even though you can test the Divi builder on Elegant Themes website. Then Divi seems like a perfect match for you ! Then the Astra Pro + Elementor Pro combo seems like the combo of your dreams. Do you still need a website? What about e-commerce? 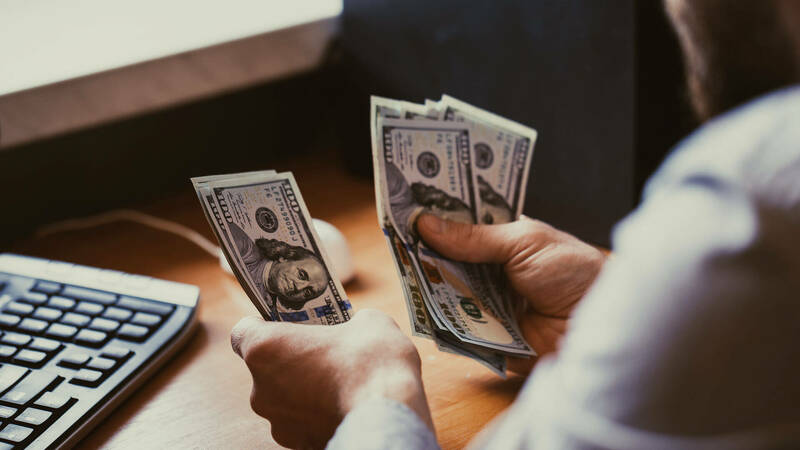 So that was for websites that present your services or products, but what if you plan to have your customers paying directly on your website? There are many solutions out there, so I can’t list them all, but I’m going to share with you the solutions that I use or have used in the past. The first solution is to add the Woo Commerce or Easy Digital Downloads plugins to your WordPress website. It’s not that complex, but if it’s your first website, you might need the help of a professional or a very good training course. You can find some free ones here on Youtube or you can purchase some from platforms like Udemy or Lynda.com. Now depending on where you live, make sure you comply with your local regulations regarding e-commerce. The second solution is an hybrid solution that consists of creating the presentation part of your business with WordPress, and then redirect purchase buttons or the entire shop to a third party provider that will handle the payment part for a fee or for a percentage of the sales. if you want to sell digital products you also may use this solution to redirect your potential customers to a service like FastSpring or to a digital marketplace where your products are offered such as Envato Marketplace and so on. Even though I’m experienced in the subject, with time, I tend to prefer the second solution. It’s easier to setup and also I don’t have to deal with all the payment processing part of the business and can just focus on the rest. 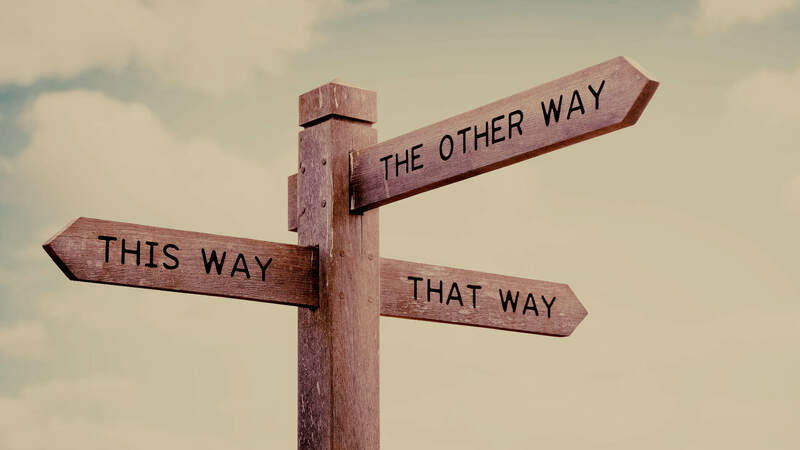 There are many other options out there, but it really depends on what type of business you want to launch. Do you still need a website? Yes you do! So, I hope that this video gave you enough context to help you understand why you should have your own website, and decide whether you want to outsource the creation process or if you want to do it yourself. Which solution will you choose? Let me know in the comments. If you’ve watched all six episodes of this module, you’ve just completed the third module of a course dedicated to take you from the burning desire to become your own boss to actually launching it and in the next module we’ll tackle the action phase of your new business. So, that’s it for this video, and in the next one we’ll discuss about how to create a website for your business. I hope to see you around here or on the Youtube channel, and in the meantime, don’t forget to invest in YOUR success!